Oliver Turvey will drive for McLaren again in the young driver tests in Abu Dhabi next week, sharing the car with the team's regular test driver Gary Paffett. 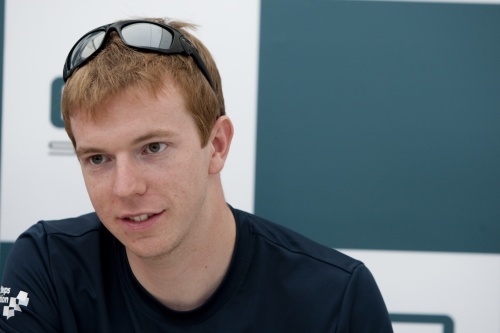 GP2 frontrunner Oliver had previously run with McLaren in last winter's young driver test as his prize for winning the 2006 McLaren AUTOSPORT BRDC Award. The team's managing director Jonathan Neale said Oliver & Gary had an important role setting benchmarks before the switch from Bridgestone to Pirelli rubber for the subsequent tyre tests later in the week. "I can confirm that Gary Paffett and Oliver Turvey will be driving for Vodafone McLaren Mercedes in the test at Abu Dhabi," said Jonathan Neale in the team's phone-in teleconference today. "The aim is to get a benchmark while we are on the Bridgestone tyres and then have a very good look at how much we can learn as quickly as possible about the Pirelli tyres (in the subsequent Pirelli test)." Oliver, 23, is currently seventh in the GP2 standings in his first full season, and was a race-winner in last winter's Asia series, which he also contested with current team iSport.